Branching off from a previous thread HERE. 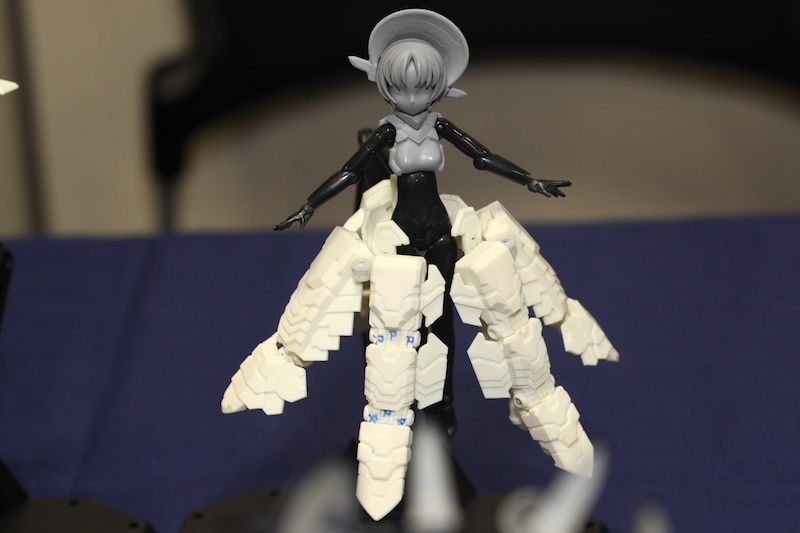 We expect more details to pop up after Wonderfest this weekend. Armor Mode - Interesting variant on the rifle/bow form. Pick axe mode? Centaur Form - The helmet also serving as a mask seems to be turning into a running theme. GUNS! Looks like the legs can serve as gun mounts when not in centaur form. Also note her alternate face and the addition to her legs. Unarmored I think this is the first time we've seen her fig without the helmet. Elf ears! Tentacle Skirt We've seen this one plenty of times before. Tentacle Mantle But this is new. Seems a lot more useful in combat then the skirt form does. Unarmored With what's becoming the standard 'sleepy' face. More pics can be found in the original thread. As a clarification, we know their names, we just dont know which name is attached to who. I suspect we'll find out in a couple days. Interesting... can't wait to find out more about these Shinkis. Check out the second post, star. We've got four likely candidates for names, but we don't yet know which name goes with which Shinki. We'll probably see when we start getting news from Wonder Fest. AND WE CAN ASSIGN NAMES NOW. Proxima (right) is Type Centaur, Mary Celes (left) is Type Tentacles? NC found the types in the images, so that's his credit, I guess. I'm still not 100% sold on the Shinki formerly known as "Bo Peep," but I'll force her armor to grow on me. If for no other reason than the fact that i love the core figure. That, and I can't seem to buy one and not the other in any given wave... The Centaur, on the other hand, rocks my ****ing socks off! The first thing I shall do with her is see if she can serve as a mount for either Rider or Xiphos... yes... And is that a January 2011 release I'm seeing? Color me excited! So much want re: centaur. I wasn't interested in celes with her tentacles, but seeing her in colour, I am not so sure anymore, she is adorable! They both look rather good but I do like the centaur one a little more. For some reason I think they both look a lot like two of the colossi from Shadow of the Colossus.